Scientists have found that LSD makes our brains more ‘complete’, and claim they have unlocked the secrets to hallucinogenic drugs. The controversial study, published by the Proceedings of the National Academy of Science, has proved that the drug breaks down parts of the brain that usually separate different functions such as movement and vision, creating a more ‘integrated or unified brain’. 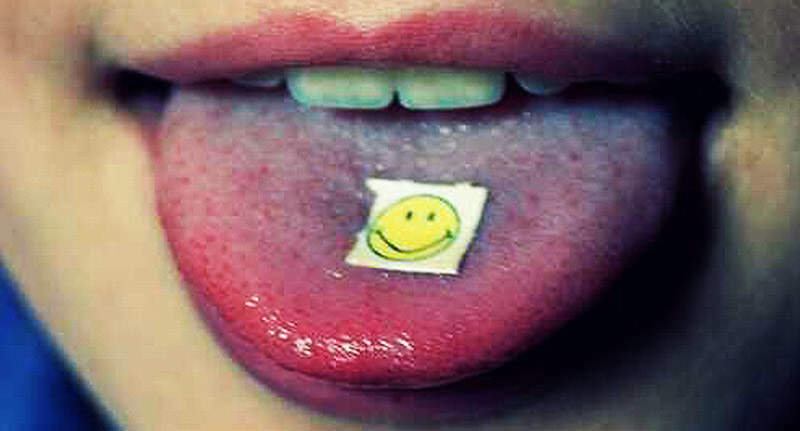 The research looked at the brain scans of 20 volunteers who all took both LSD and a placebo. The scans showed that people who are hallucinating because of drugs actually see with different parts of their brain, not just the visual aspect that is active in normal vision – kind of like a third eye. Apparently, this is why so many people claim to have religious or spiritual experiences while on hallucinogens, and the effect on the user’s wellbeing could carry long after the drugs wear off. Normally our brain consists of independent networks that perform separate specialised functions, such as vision, movement and hearing – as well as more complex things like attention. However, under LSD the separateness of these networks breaks down and instead you see a more integrated or unified brain. Our results suggest that this effect underlies the profound altered state of consciousness that people often describe during an LSD experience. It is also related to what people sometimes call ‘ego-dissolution’, which means the normal sense of self is broken down and replaced by a sense of reconnection with themselves, others and the natural world. Basically, by breaking down the constraints that usually keep parts of the brain separate, hallucinogens like LSD revert users back to a childlike way of thinking – ‘free and unconstrained’. Feilding’s comment proves that the new findings could prove controversial, suggesting that LSD could be used for healing and understanding new forms of knowledge. And eventually, the drug may be used to treat psychiatric disorders and conditions like depression and addiction – which tend to arise from an ingrained way of thinking, The Independent reports. It’s not clear whether or not this will actually happen, but if it does, you may just see LSD over-the-counter. Way to go, science.